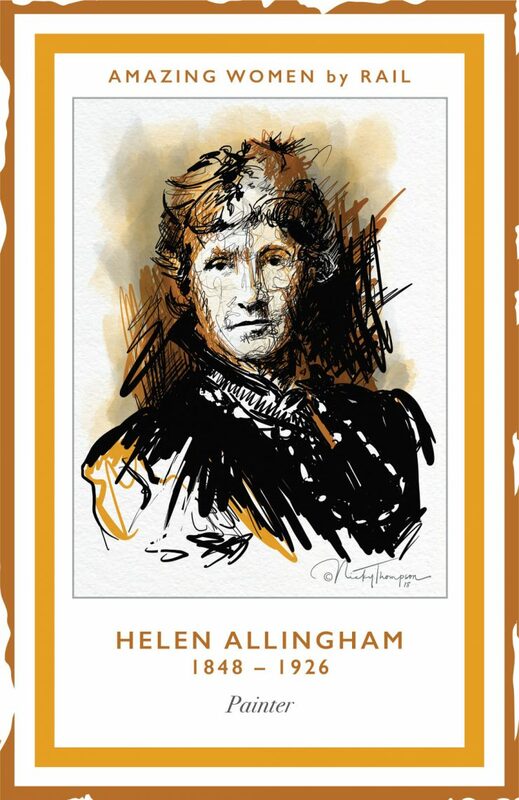 Helen was born in Swadlincote, Derbyshire and her family moved to Altrincham in 1850. She was educated at the local Unitarian School for Girls. Sadly, in 1862 Helen’s father and youngest sister both died of diphtheria and the family moved to Birmingham. Helen attended the Government School of Design in Birmingham and was awarded prizes for her art. She later studied at the Female School of Art in Bloomsbury and the Royal Academy Schools. Helen illustrated her husband’s book Rhymes for the Young Folk. 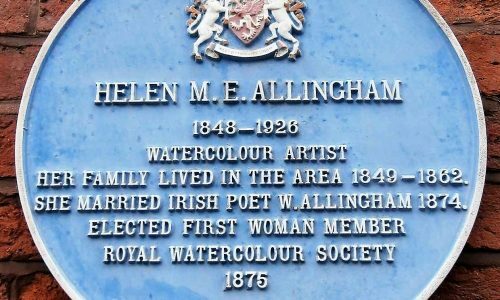 In 1890 Helen was the first woman to be granted full membership of the Royal Society Of Painters in Water Colours and her work was exhibited annually for 50 years. She specialised in cottage scenes and played an important part in the late 19th century idealization of the English countryside. Helen’s children often acted as models for her paintings. Helen also lived with her family at Levenshurst on St John’s Road in Bowdon. The is Blue Plaque recognising Helen at 16, Market Street (WA14 1QB).